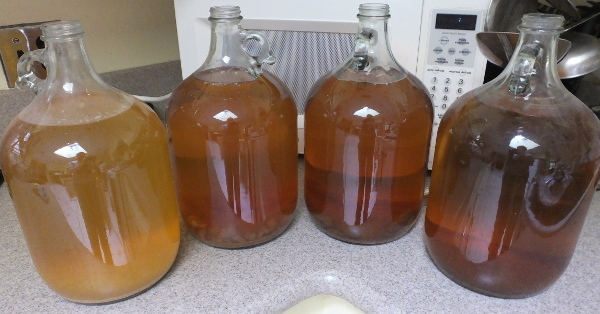 Yesterday we racked DH’s two wines (3 gallons each of Cabernet and Malbec) and my four meads (one of which turned into vinegar). So jealous, we want to have bees. With two kids confirmed with bee allergies and a smallish city plot my prospects of having bees is looking slim.